Indulge in a new sophisticated style with SHANY Glamour Girl Makeup kit. 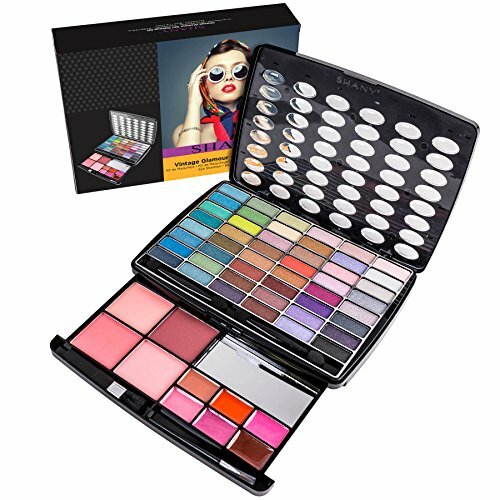 The kit comes with hot vivid fashionable colors, highly pigmented mineral oil based Eye shadows. From matte to ultra-shimmers. , prime cheeky blushes and six lip gloss shades. The beautiful kit from SHANY is all about style. Start the new season with a fresh look and take an advantage of Shany all in one kit. The case come in a beautiful vintage style packaging. If you have any questions about this product by SHANY Cosmetics, contact us by completing and submitting the form below. If you are looking for a specif part number, please include it with your message. L'Oreal Paris Makeup True Match Lumi Glow Amour Glow Boosting Drops, Daybreak, 0.47 fl. oz.